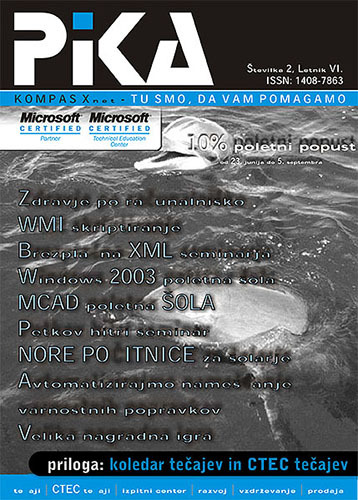 The Pika magazine iz our company's printed publication. 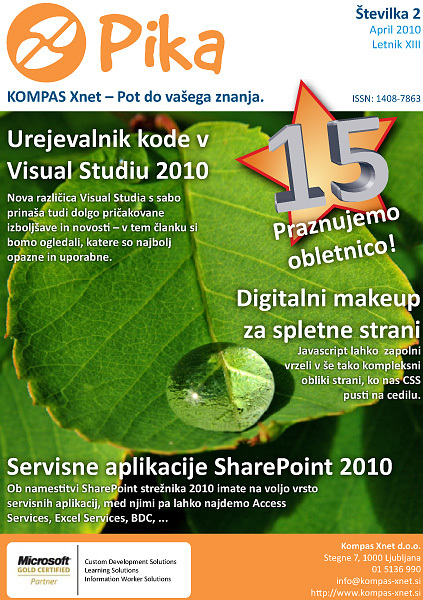 We publish 5 issues a year and distribute it to about 3,200 addresses. 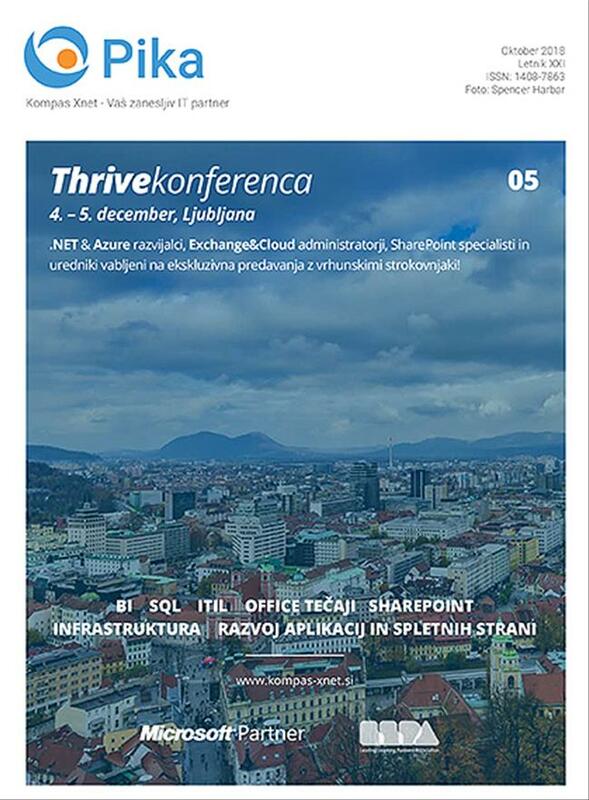 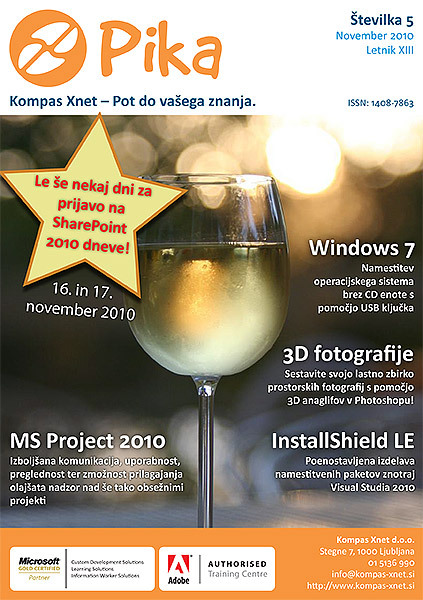 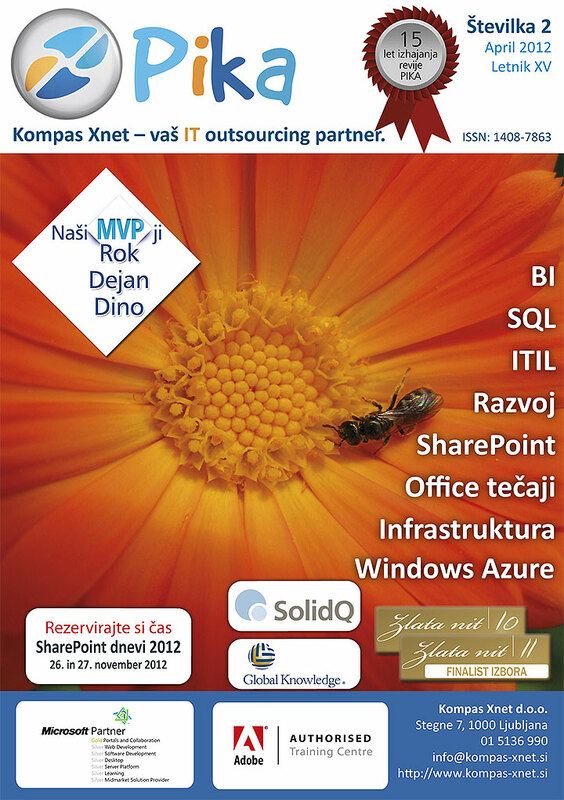 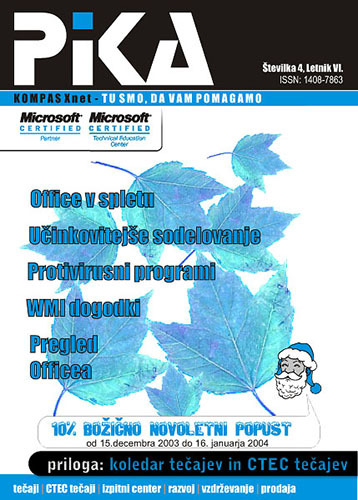 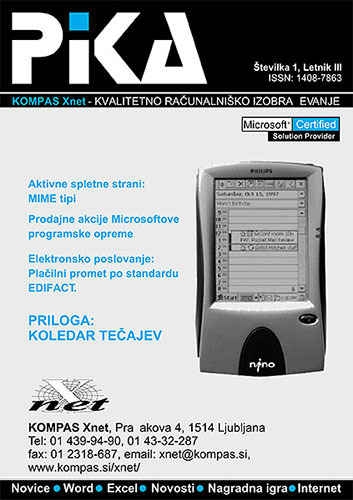 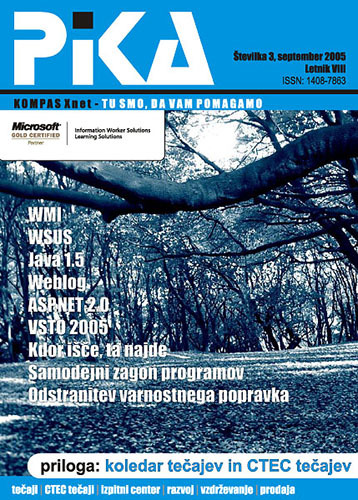 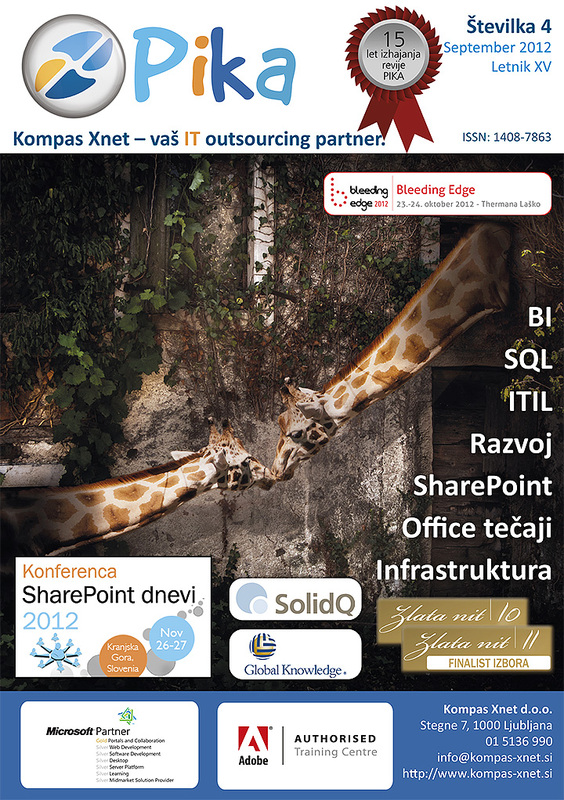 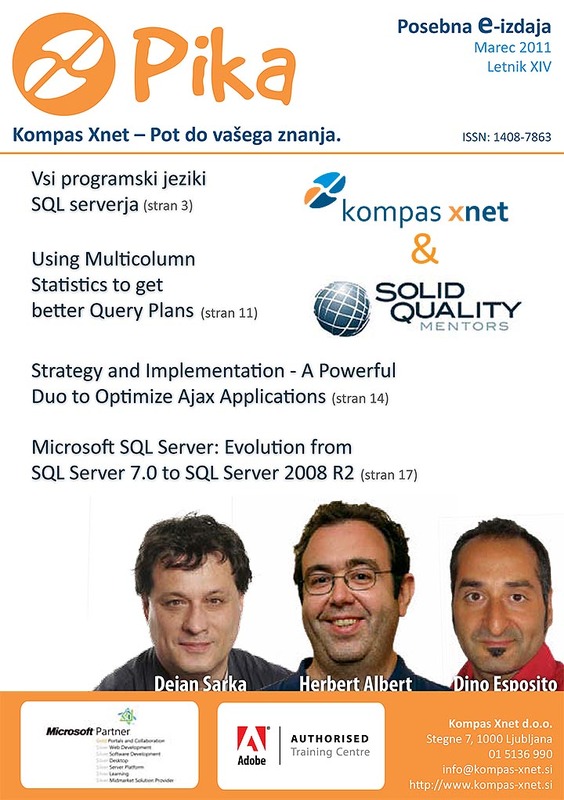 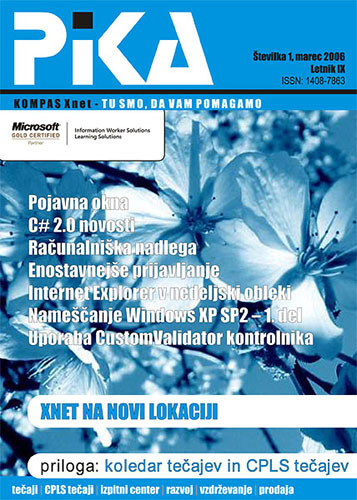 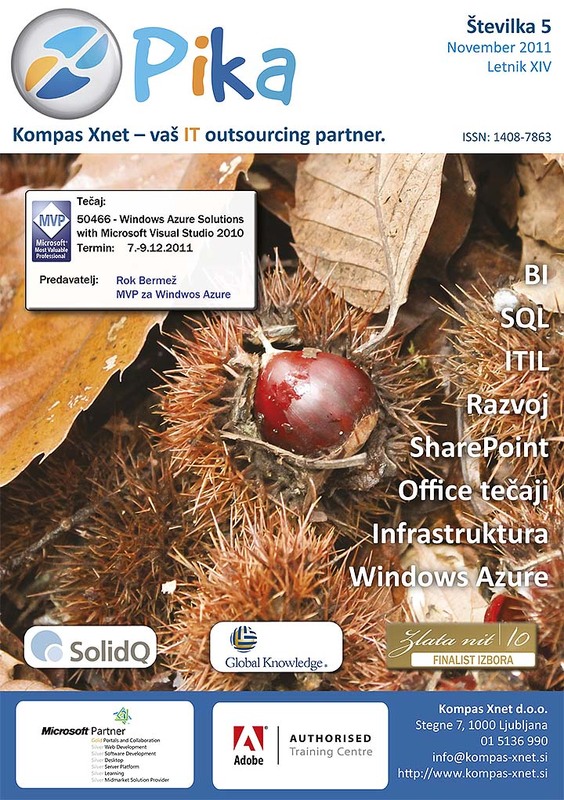 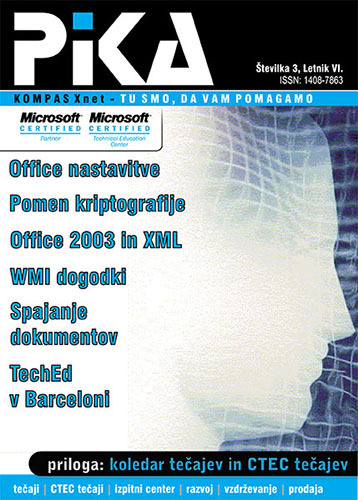 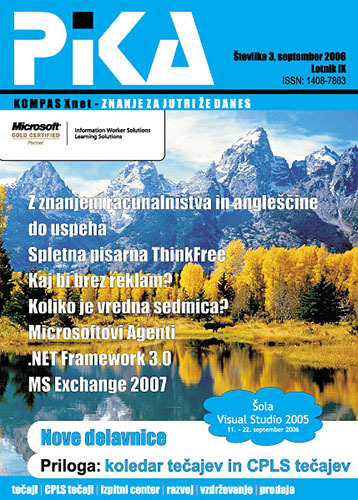 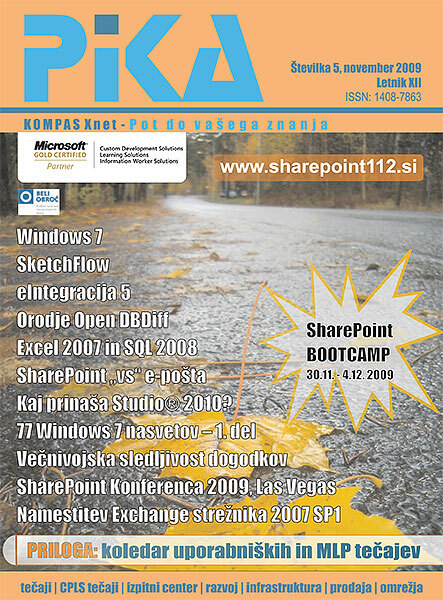 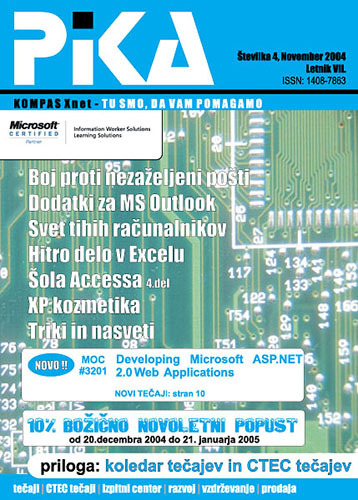 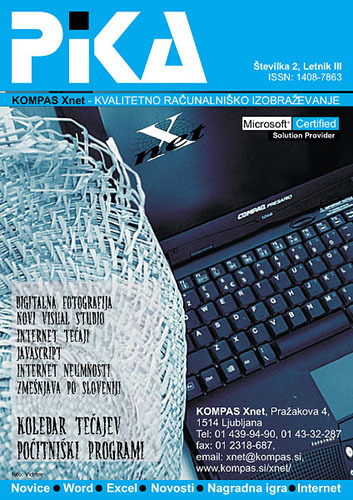 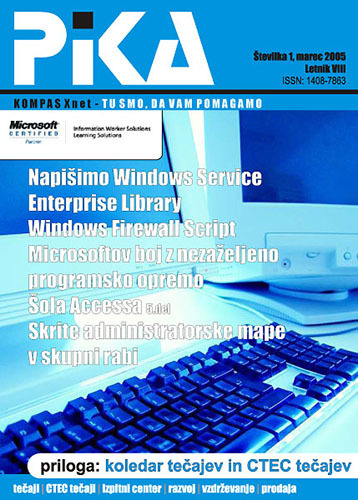 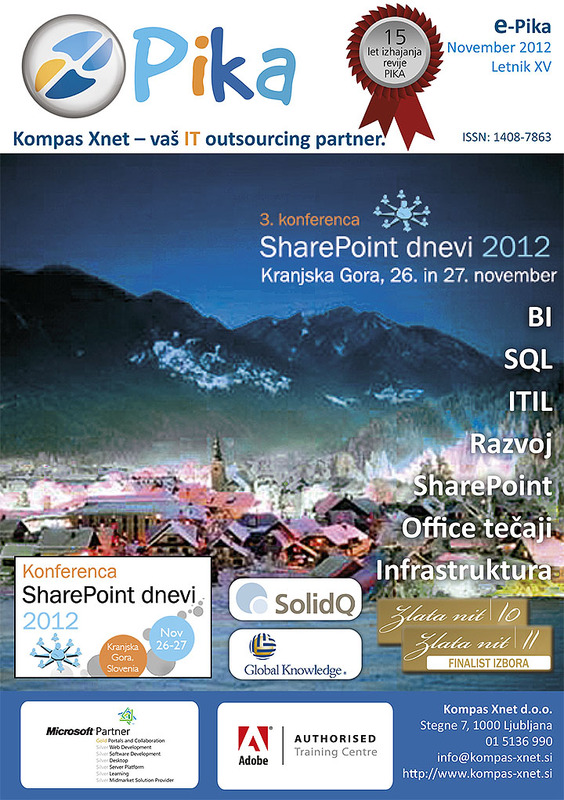 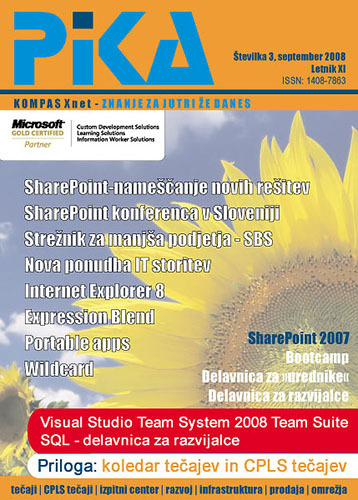 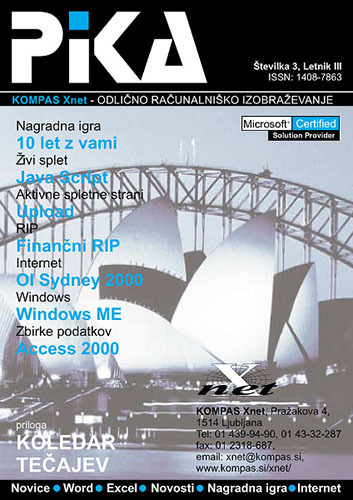 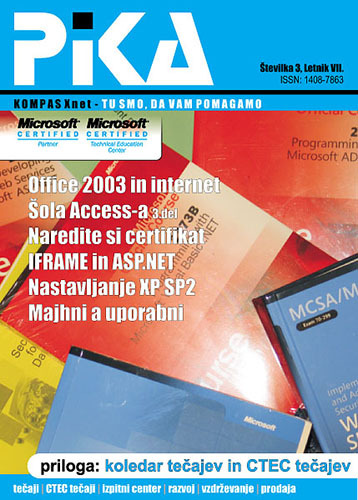 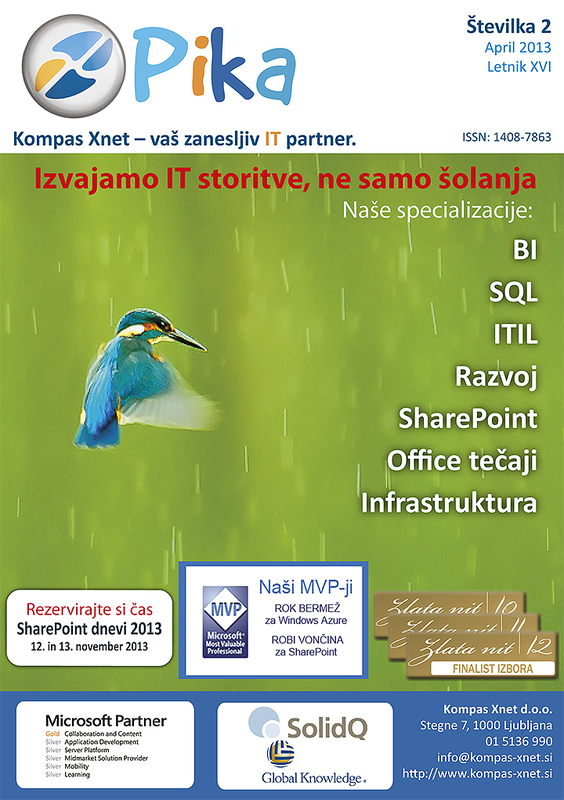 It contains interesting articles about computer technology, especially Microsoft products. 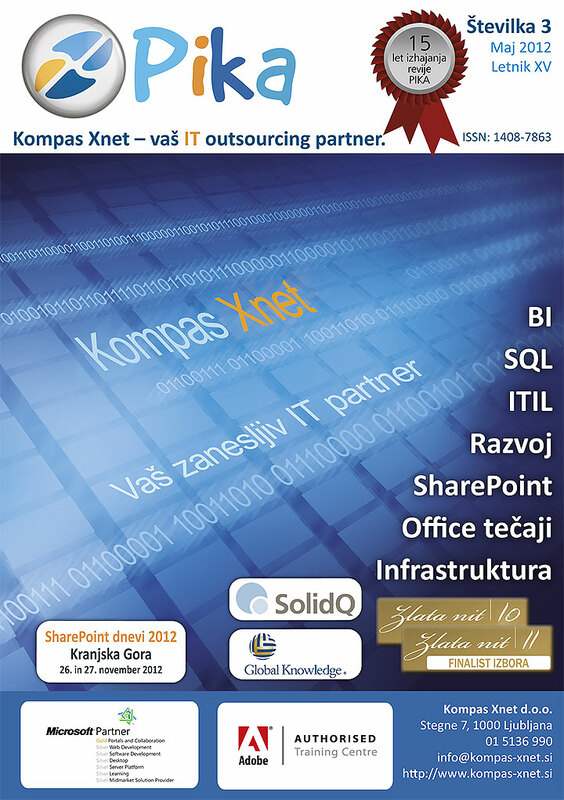 The articles are written by our employees and external staff. 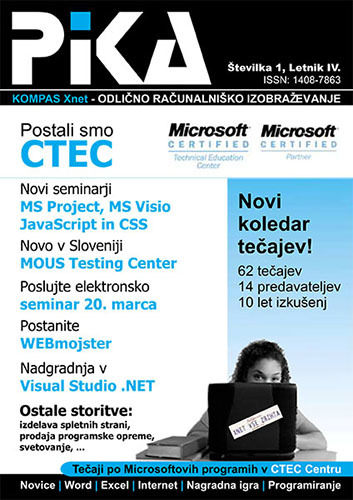 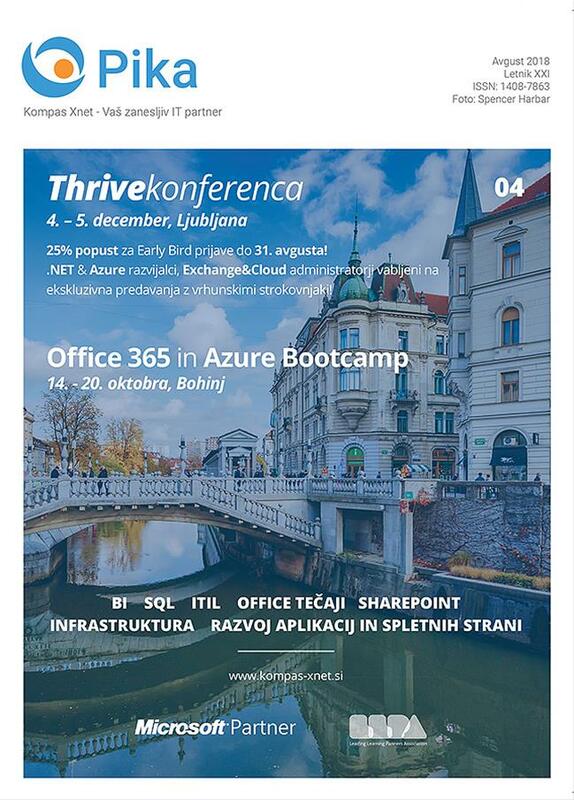 Besides articles, the magazine also contains a calendar of upcoming trainings organized by our training center, the announcement of events, new trainings and services and helpful tips and tricks to help you with your work. 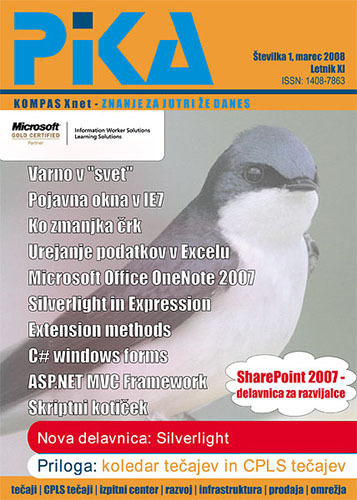 The Pika magazine is free. 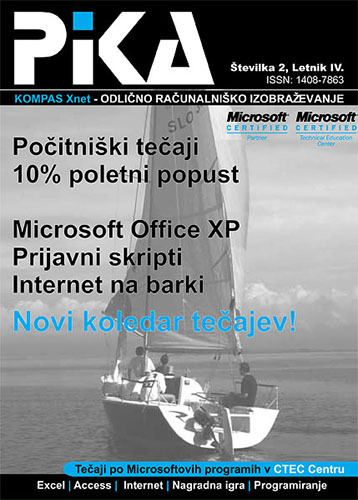 If you would like to subscribe, please fill out the subscribtion form below. 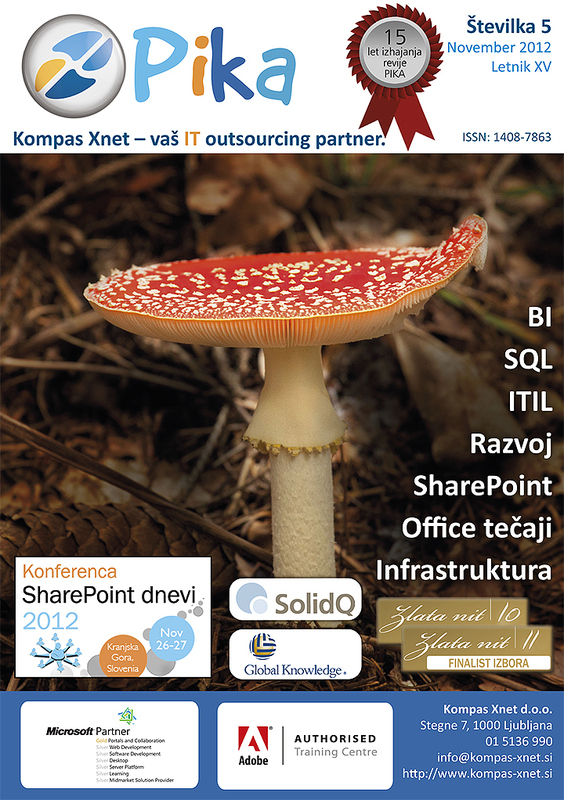 If you would like to unsubscribe, change the sending address, give us feedback etc. 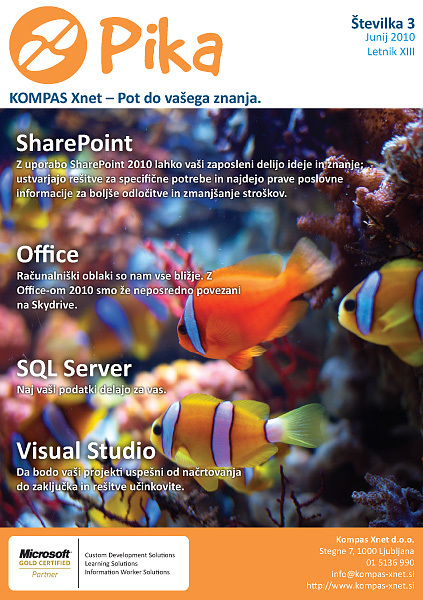 please send an email to info@kompas-xnet.si. 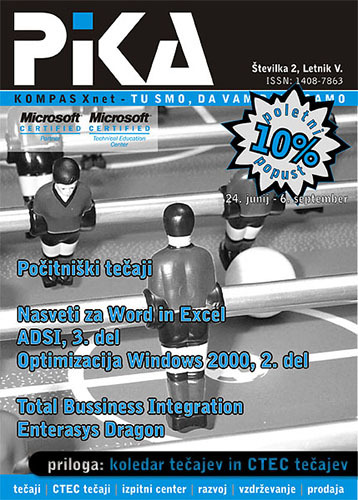 If you would like to subscribe to Pika magazine, please fill out the form below.